Continuing with the Montrose Folk Club policy of bringing Celtic Connections headline artists to Angus, we are delighted to present a Concert by the Jill Jackson Trio. 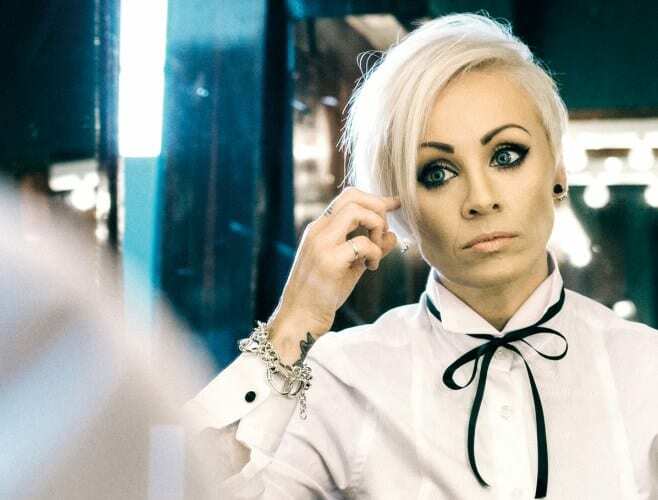 Paisley born Singer/Songwriter, Jill Jackson, recently released her fifth solo album, entitled “Are We There Yet?”, a record that bears the hallmarks of her 25 year musical journey from Paisley to Top of the Pops to playing in every State of America. Winner of the Danny Kyle award at Celtic Connections in 2018 and recently tipped as “UK Country’s Next Big Thing 2018”, Jill has remained true to her musical ambitions. Her latest album is a journey through childhood, life struggles and happiness, which Jill says “fell out of my heart and guitar with a little bit of country, rock and roll and old timey”. After spending several years touring as the lead singer of the acclaimed Bluegrass Band, The Chaplins, Jill Jackson is now once more establishing a solo career. She will be appearing at Montrose Folk Club with her trio of herself on guitar, together with backing guitar and keyboard.